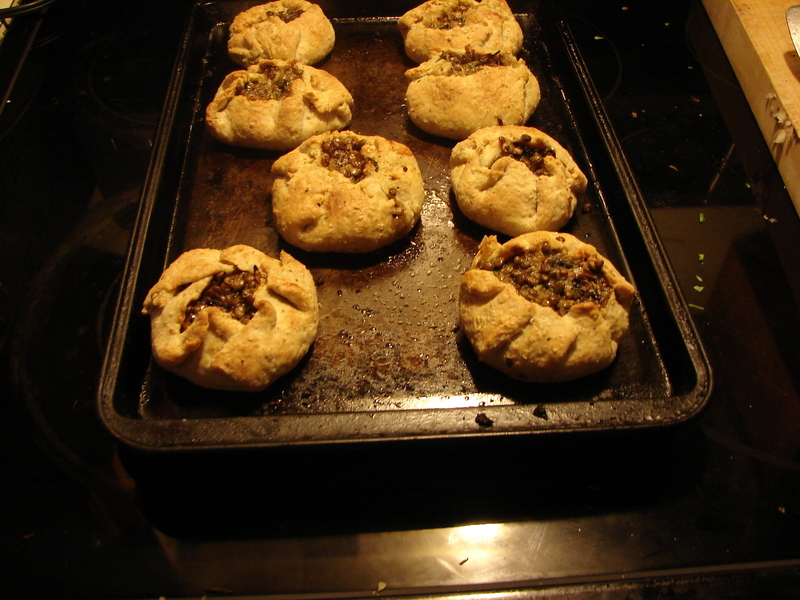 These are small galettes with an oatmeal – peppercorn crust, and filled with french lentils, mushrooms, sauteed greens, and sharp cheddar cheese. 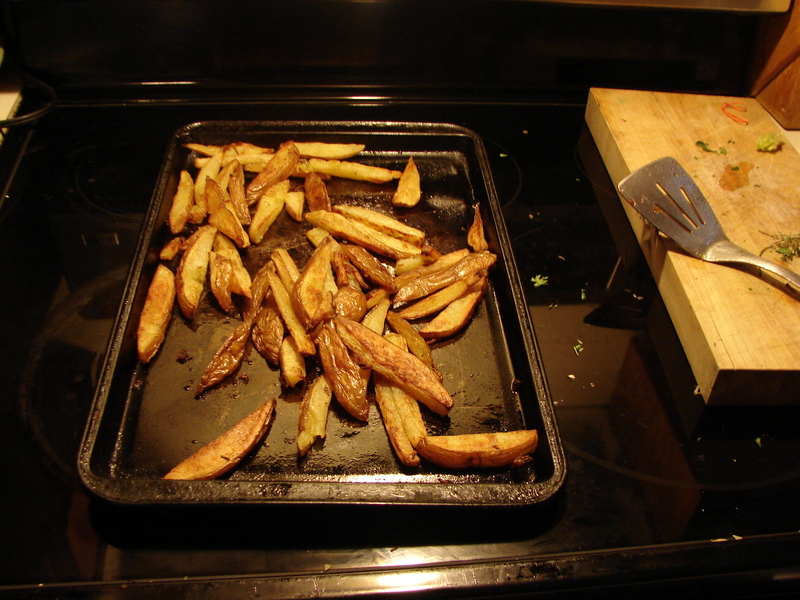 A nice autumn dinner – a little earthy/smokey – warm and comforting, but not too heavy. Easy to put together with the recipes already posted! See! They all work well with each other – that’s the plan! You can make them throughout the week, and use them one day for a pie, and toss some in a salad the next. Here’s a song that’s not really about food, but I love it. It’s very hopeful about trying something, and I’ve had a very nice week starting this blog. I promise to slow down on the posts! 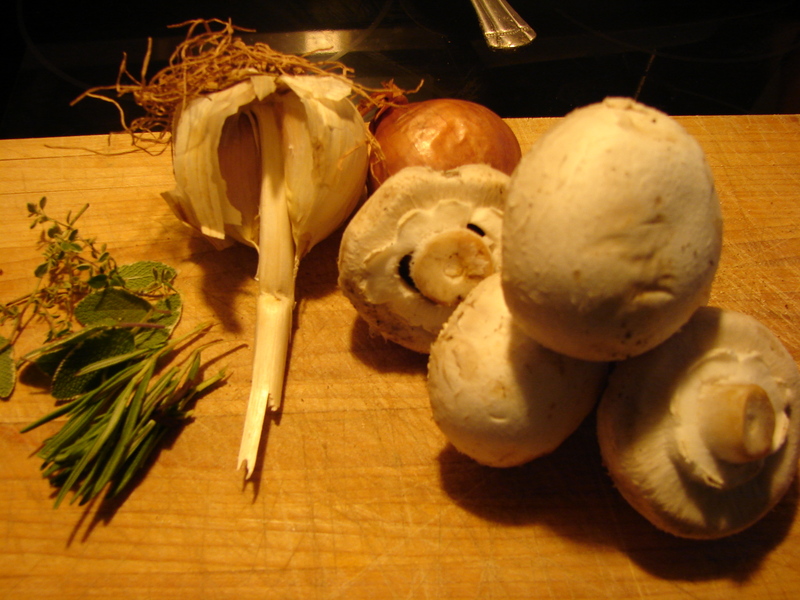 My favorite way to prepare mushrooms is roasted with shallots, garlic, sage, rosemary and thyme. They’re delicious as a side dish, wonderful on salads, with pasta, on toast, or as a filling for a pie, which is how I most commonly use them lately. They’re easy to make, and your kitchen will smell like a holiday while they’re cooking. The other night, during a bout of insomnia, I started thinking about vanilla, as one does. I love the scent and flavor of vanilla. (I have recurring dreams about vanilla essence, actually. Wonder what that means?) I think vanilla has been unfairly labeled as plain and pale – almost a non-flavor. In fact it’s wonderfully flavorful. I started to ponder the fact that, in my experience, vanilla is always used as a flavoring in sweet dishes. Why shouldn’t vanilla find its way into a savory dish? Other sweet staples, like cinnamon and chocolate have done it. Then I started thinking about fries and a vanilla milkshake. Such a perfect pairing. One hot, crispy and salty, and one cool and vanilla-y. That’s when I came up with the idea for this combination. 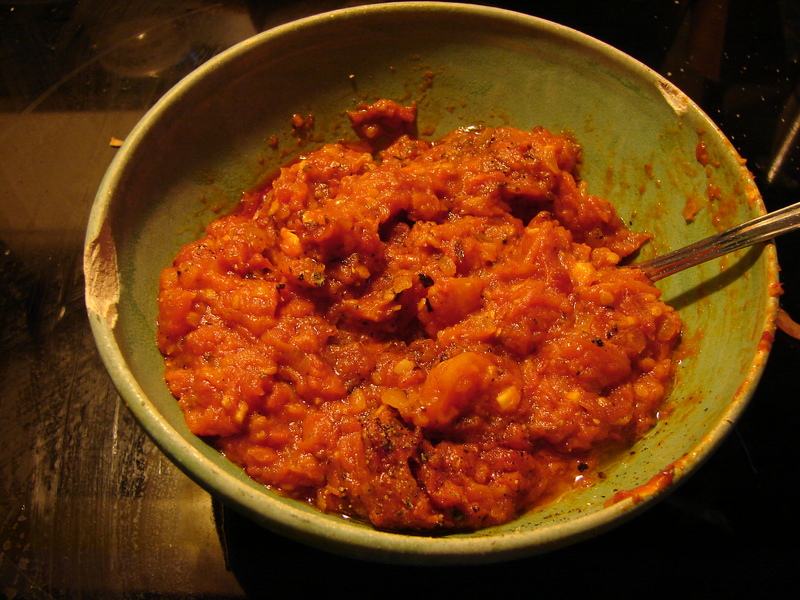 Sofrito…it’s fun to say and delicious to eat. 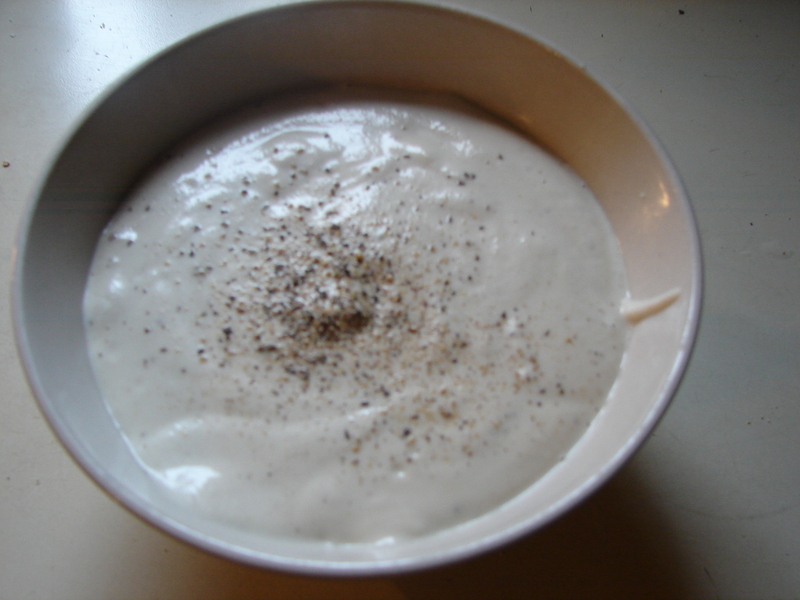 It’s also one of those foods that turns up all over the world in different guises. In Spain it’s a slow-cooked, intensely flavored tomato paste. Where different versions of sofrito show up – in the Carribean, latin America, the mediterranean – you’ll find different ingredients added or taken away. 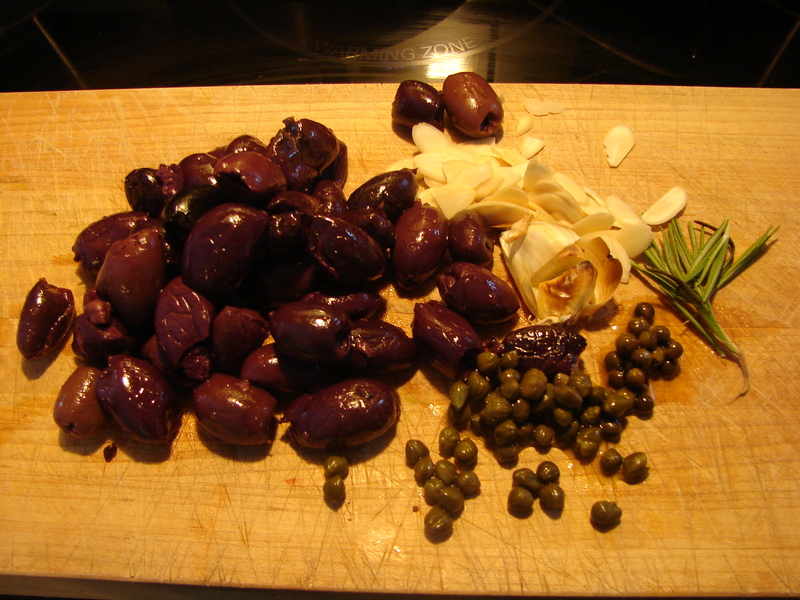 You’ll find green peppers, pork, cilantro, olives, capers, chilies, different seasonings. 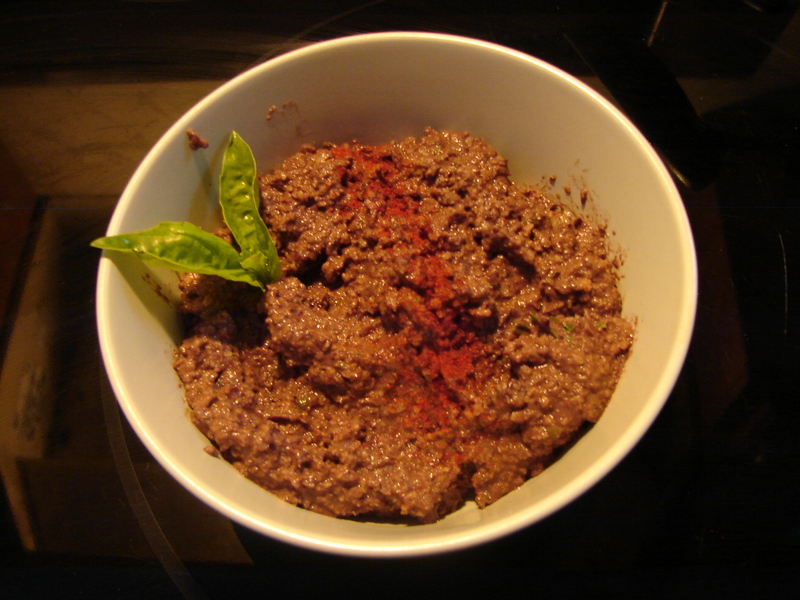 A sofrito is usually a base for another dish. 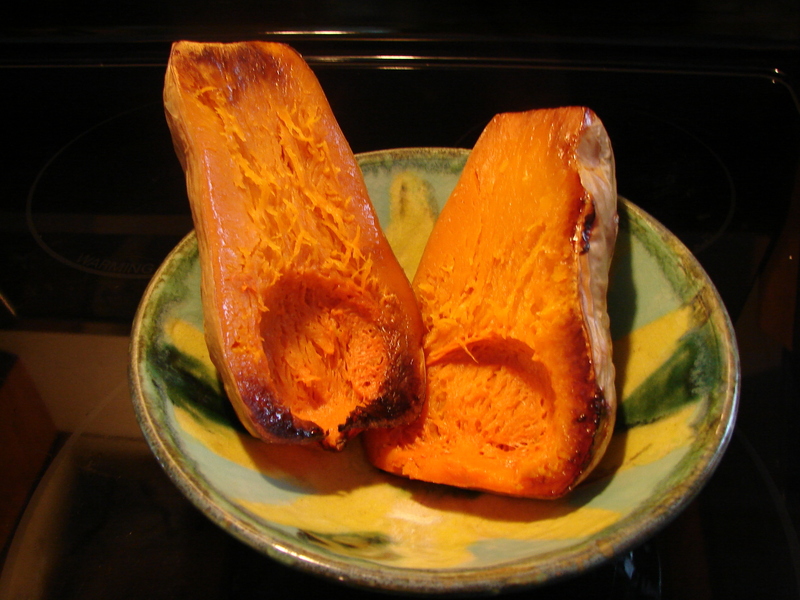 You can add it to a soup or stew at the end to deepen the flavor, toss it with pasta, use it as a condiment. 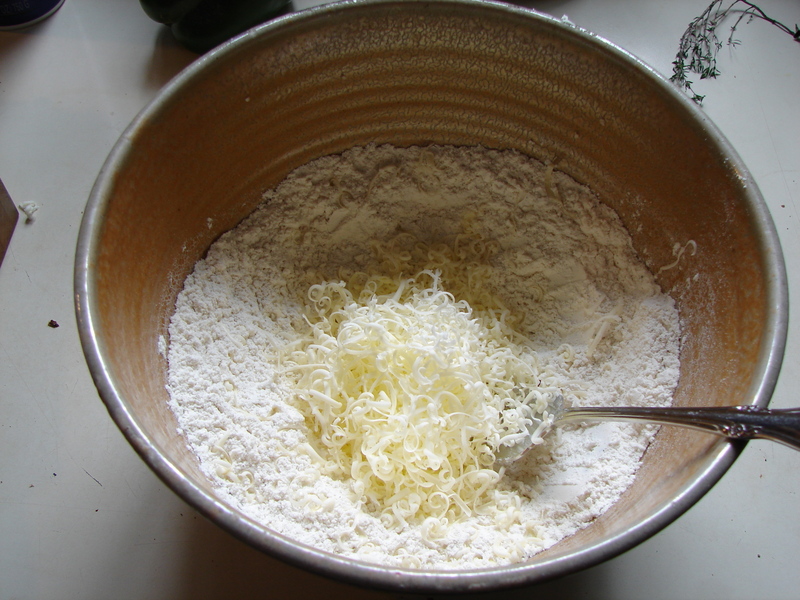 And it is the main ingredient of the empanada gallega, which is the mother of all empanadas. 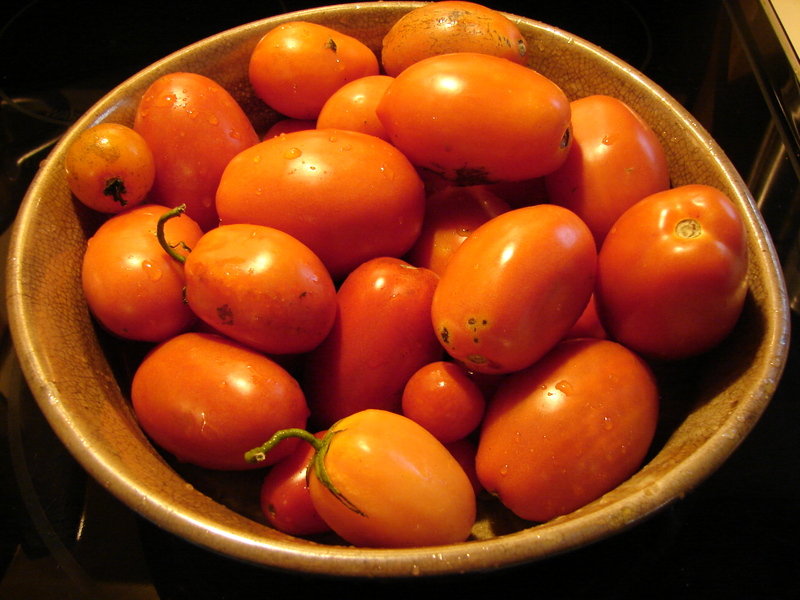 I picked these paste tomatoes from our local CSA, but you can just as easily (well, more easily, really!) make them from a can of tomatoes. But use a can of good tomatoes – fire roasted is nice! This is my version of a Spanish sofrito. I keep the seasonings simple (rosemary and beautiful smoked spanish paprika) because the sofrito will probably find itself in another dish, mingling with other flavors. I’m not sure this is authentic, but it is delicious! 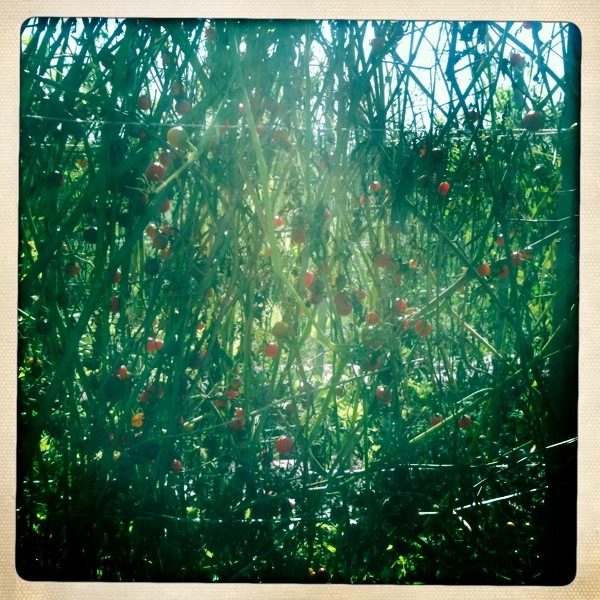 Last week I went to our local CSA to pick tomatoes and herbs. It was a beautiful, glowing fall day, seeped in the bittersweet feeling that summer is really over. Many of the herbs were dried and done, but I found rows of purple basil, which I picked in such quantities they wouldn’t fit in my pail. The tall heirloom cherry tomato plants were full of fruit, and glowed like stained glass – walking through them was a giddy experience, with the buzzing of the bees, and the lovely smell of tomato leaves. I came home with tomatoes of all different sizes and colors – some as small as a raisin and bright red, some larger, yellow and pear shaped. How to preserve their pretty, unique shapes and colors? 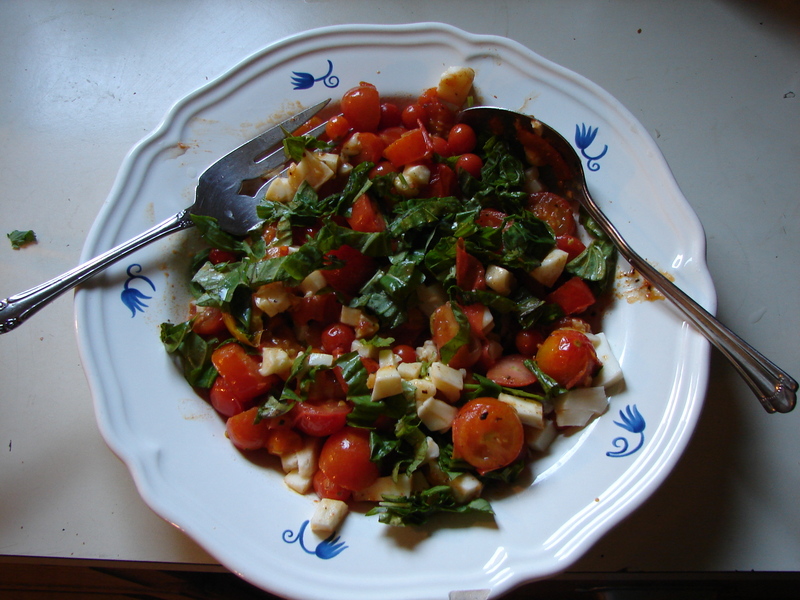 I sauteed them quickly in olive oil and garlic, till they had just started to wilt slightly, and then tossed them with some diced mozzarella, and copious amounts of shredded basil.